Amongst our spekboom appeared a golden leaved version. We have a modern hybrid just-a-number yellow aloe. The Lampranthus is just beginning to make flowers. But the dominant impression is spires and bells of reddish flowers. Aloe ferox I presume, dividing into stems which I spread around. The bells of Cotyledon orbiculata pig's ears. Tree aloe which twines and climbs thru its neighbours. Crassula fire sticks with a grey-leaved pig’s ears. This reminds me of Pam @ Digging’s Moby (sadly I can't find again the post where she wrote about moving Moby from the old garden to the new), our blue whales. Mine is Aloe speciosa. 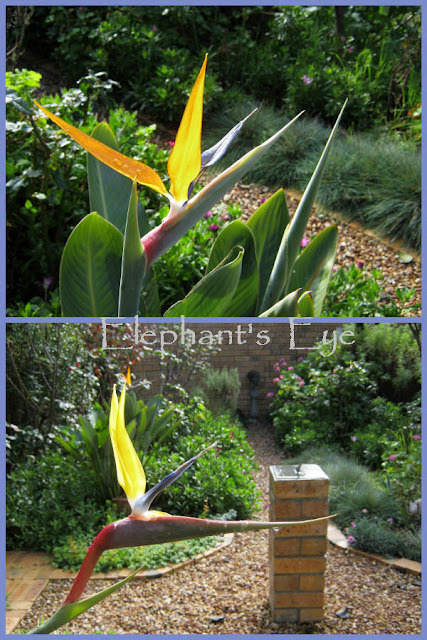 Strelitzia pushes out a new flower to replace the old in a steady stream. My pictures were taken at the beginning of the month, but both plants continue today to each bear one perfect fresh flower. Orange original Strelitzia regina, and the mellow yellow Mandela’s Gold. For this Wildflower Wednesday everything except the Aeonium is South African (and even the Aeonium is from Morocco in that country called Africa). 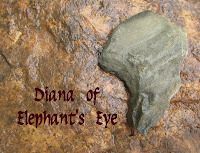 Diana I always enjoy your post. Thanks for sharing. 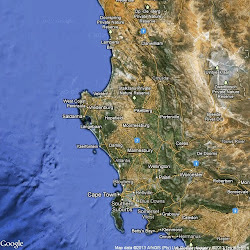 Once I'd been working on coastal sage scrub habitat in southern California (San Diego, specifically), and learned that there was an eco-twin in South Africa, I've always wanted to go. That 1st shot of the botanical garden looks EXACTLY like coastal sage scrub. Wow. 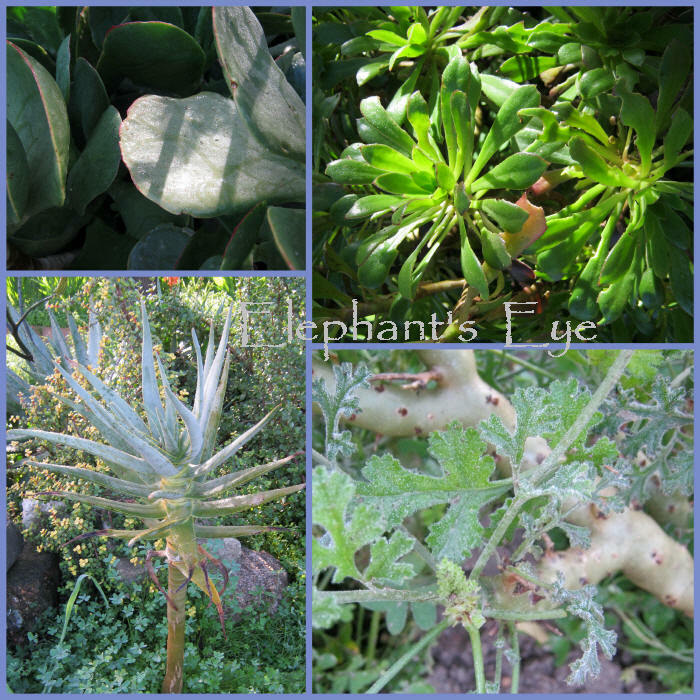 And we have Euphorbia (2 species), but they're different than yours, of course. Euphorbia misera and Euphorbia albomarginata (at least that's what they were called when I was there). I just think it'd be SUPER fun to hike around what is superficially a REALLY familiar landscape, where I should know all the plants, and then see that all the plants are DIFFERENT. But the same. FUN! A great example of convergent evolution. Thanks for sharing! 'sage' then you'd enjoy the wild rosemary Eriocephalus. Four little cuttings (from a neighbour not the NBG!) are growing in my garden now. The combination of yellow leaves and red stems on the spekboom is beautiful. Is that its winter outfit or is it a different variety from the one with green leaves? At first I thought it was just 'odd'. Then I read about a golden-leaved variety, and that is what we happen to have. It's always a treat each week as we peek into your garden. You do a great job focusing on the plants. 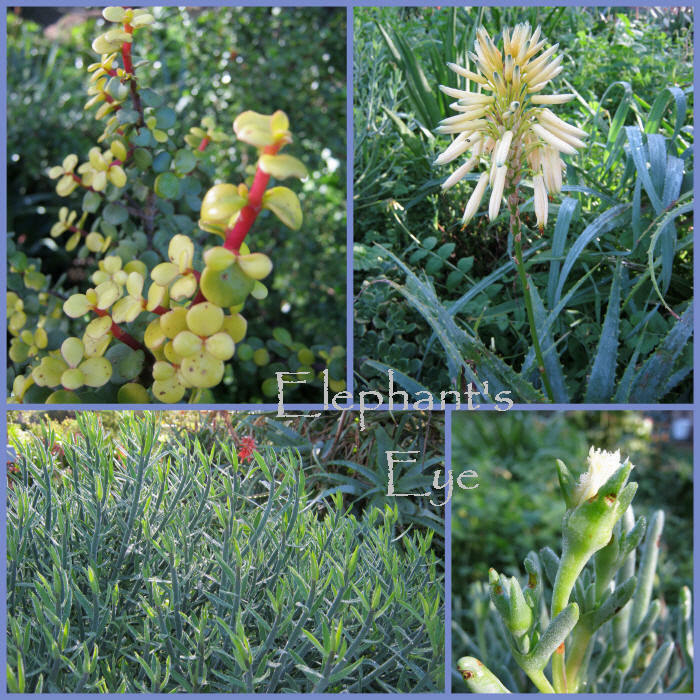 With all these blooms, it appears that the seasons are indeed switching:) Our blooms on the aloes, agaves and yuccas begin in March. What's interesting to me is the Strelizia(or what we call Bird of Paradise). They grow in Tucson but can freeze in our winter....but rarely, if ever, flower. But it's one of my favorite tropicals around. So how did your friends visit go at the Desert Museum on his lecture? I think we were on vacation in Wisconsin when he did the lecture. I wish I could have been there for that presentation. Did he like Tucson? Have a good weekend! Here is Dr Quinton Martins report-back on his lecture tour. Still so many super flowers in the middle of your winter, lovely selection, some of them I recognise as house plants here. That opening photo is gorgeous. What an astounding view you had there. Keeping labels on plants in botanical gardens is a never ending source of frustration I think. when I volunteered at a botanical garden that was a constant chore as people pick the labels out and move them. Hubby asked me the other day how big my aloe would get (growing in a pot in my house). I thought mine was quite big until I saw the photos of these. What monsters they grow to be! Is yours an Aloe vera? No, I see it is a proper South African aloe. With teeth and spotted leaves. Appreciate your help. I will follow up those names. My Clanwilliam aloe is lurking flowerless next to the blooming one. 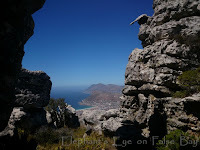 Diana, thanks again for showing these extraordinary flowers and landscapes! The plants in your area are so architectural. Beautiful opening photos of the area. The aloes look huge to me and with such magnificent flowers. Diana I am smitten with aloe. I have always seen the indoor houseplant we have that can be used for burns, but never these absolutely gorgeous huge plants with those amazing flowers...even the tree aloe is just stunning....if I were to ever live in a climate where they could be grown, they would be top on my list. I bought myself a Strelizia! So thrilled with it, now to find a good spot! Oh my goodness, your Aloe collection is incredible! And having Strelitzia growing in your garden must be a thrill! I agree with some of the others that the opening photo is stunning. That is one plant that I miss from my garden center like a hole in my heart We had such a specimen, I hope that it found a great home. 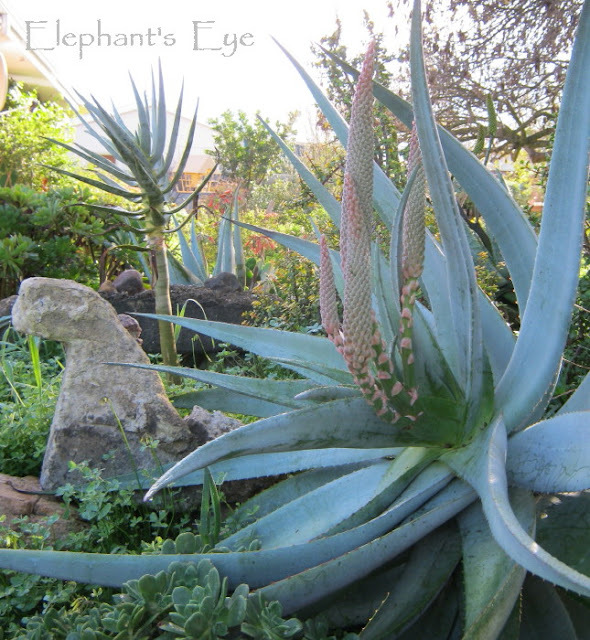 Who'd have thought - in the Okanagan Valley in Canada, a heart beats for blue aloes! Traditionally I haven't been much interested in succulents, but the blogopshere has opened my eyes! Just recently I have been seeing Aeonium, growing in different parts of the world. I don't know if I can even get that sort of plant here, but I am going to find out! I also love your golden speckboom and your aloes. But I am most charmed by the fire sticks and gray pigs ears, not only for the looks, but by the names! I've been to the Karoo Botanical Garden only once and that was years ago. I don't pass through Worcester often (maybe once a year) and when I do its always in a rush, but I really need to make a plan and put an hour or so aside next time. Aloe products are sold in our health food shops, in case Moby gets too big. Thanks for your comment on my recent post. Like you I do not coddle plants - if they die they die. No spraying either. Still, it would be good if my new Roses did not suffer from the blackspot fungus. Such an ugly affliction that is not worth trying to overcome. I have my fingers crossed. Diana, your aloes are magnificent. Some of them remind me of our agaves--do the aloes survive after blooming, or do they bloom once and then "pup" while the parent plant dies? 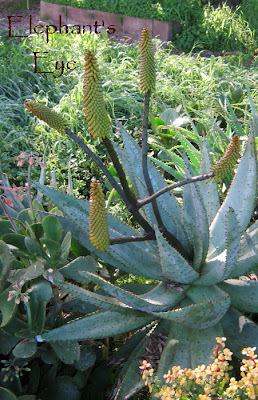 Aloes do pup, but they bloom year by year, not the agave's prima donna performance. What a hand you have at gardening! I can't do flowers....only veggies. 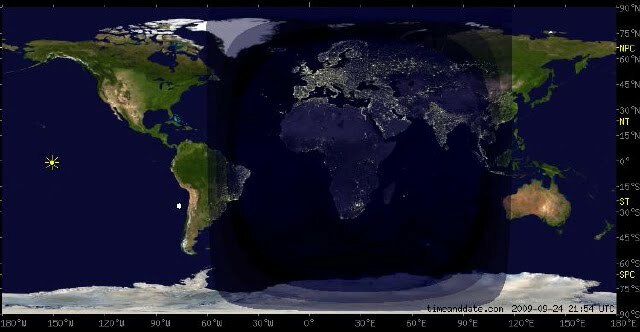 Weird, isn't it? Everything looks so beautiful! I hope you have better luck in August with the nursery, restaurant, and labels. 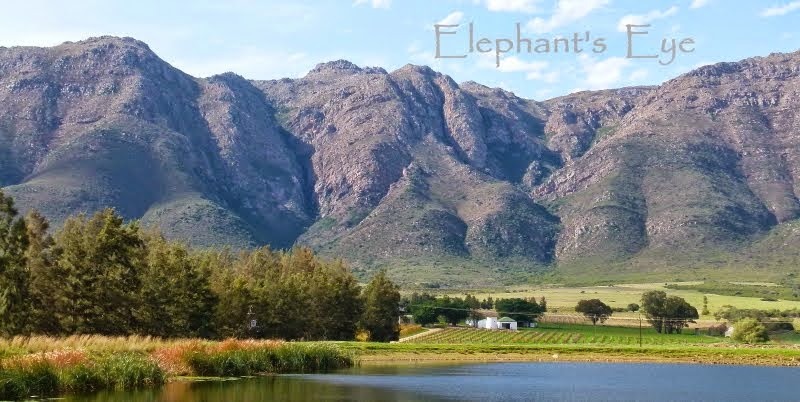 I really enjoy your scenic photos of the Karoo Botanical gardens! The plants are amazing! It all looks so familiar. As Biobabbler observed, the hillsides there are very similar to those in my region (San Diego, CA). It seems odd that Mother Nature didn't bless us with the same diversity of succulents as you have. I am so jealous! I love the yellow Strelitzia! They are so common here, but I've never seen a yellow one. I've gotta get one now! Do you know the name of the "modern yellow aloe" shown in your 5th photo group? 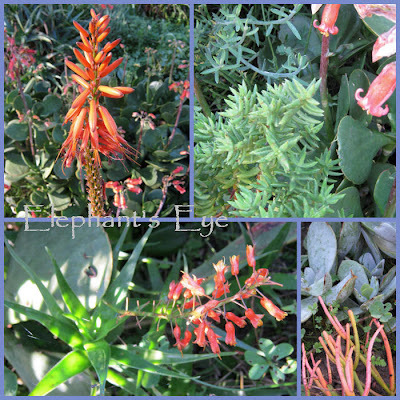 As we arrived I saw a woman drive away, her backseat filled with a row of small aloes in unnatural colours beyond the orange to red. My yellow has long since lost it's label but it was something like number 462. PS your Blogger profile is a dead link. If you add a link to your blog at your Profile ... you would get a little more traffic (I could return your visit). Your choice. Thank you for letting me know about my dead link!! I made the changes you suggested. Not sure if I did it correctly though?! I'm still a novice at this! eeeeek! Too much beauty and splendour for a single post, oh my. I love aloes, I love your garden and I NEED to visit Karoo today.